The 12 Promises of the Sacred Heart Prayercard. 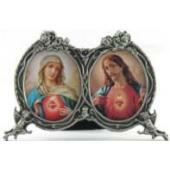 The Twelve Promises of the Sacred Heart Prayercard in packs of 100. No. 0122.